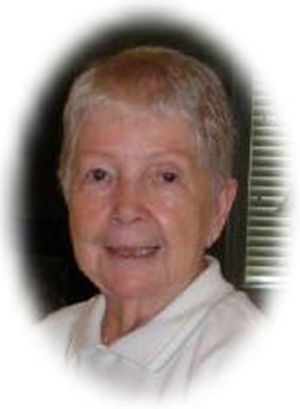 Obituary – Burton, Virginia M. (Shea) « Perry High School Alumni Association, Inc.
A Mass of Christian Burial for Virginia M. Burton, 83, of Paragould, Arkansas, will be 11 a.m. Thursday at St. Rose of Lima Catholic Church in Perry. The Rev. Tom Dowdell will officiate. Burial will be in St. Rose of Lima Catholic Cemetery. Arrangements are by BrownDugger Funeral Home of Perry. She was born June 24, 1923, in Perry, to William and Mary Ovilena Harrison Shea and died Sunday, Aug. 20, 2006, in Paragould. She was a cheerleader and a “Red Hot” at Perry High School, where she graduated with the class of 1940. She married Thomas G. “Tom” Burton Feb. 16, 1942, in St. Louis. She was a member of St. Mary’s Catholic Church in Paragould. Surviving are three sons, Tom Burton of Roeland Park, Kan., Mike Burton of Tulsa and Pat Burton of Oklahoma City; one daughter, Debbie Quinn of Paragould; four grandchildren; and five great-grandchildren. She was preceded in death by her husband Tom, two brothers,and six sisters. Memorials may be made to Ronald McDonald House of Memphis, Tenn. through BrownDugger Funeral Home, 1010 N. 7th Street, Perry, OK 73077.